The steering and suspension system in your vehicle are important when it comes to the performance and safety of your drive. Any issues with your steering and suspension components or wheel alignment can cause damage and wear to your vehicle and your tires. There are certain signs to look out for that may indicate a problem with your steering and suspension system or your wheel alignment. If you notice any of these symptoms, there may be an issue with your steering and suspension components or you may be due for an alignment. Depending on the symptom, these signs can indicate a variety of different problems, including low tire pressure, bad alignment, bad steering components, low power steering fluid, and much more. At Motor Car Mall in Peralta, NM, our ASE certified technicians are experts in steering and suspension components for all makes and models of vehicles. 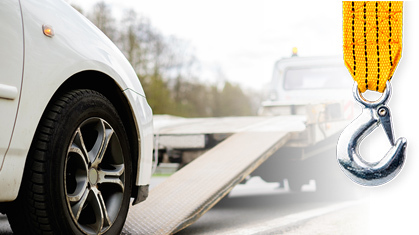 We can help identify the correct issue with your vehicle and get you back on the road safely and timely. We stand by our honest work, which is why our mechanical repairs are backed by our 24 month/24K mile warranty. Our auto repair shop offers high quality repairs and services at fair prices that you can afford. We are committed to providing excellent customer service and making sure that your auto repair experience is a pleasant one. If you suspect an issue with your steering or suspension components or think you may need an alignment, please give us a call today to schedule your next appointment, or feel free to use our online scheduler.